If you’ve ever tried to pull Marketing into employer branding, you may have faced some resistance. Marketers usually have the expertise you need, but they often lack the time, interest or resources to pitch in. Yet we know that when Marketing and Recruiting work together, companies do better. According to LinkedIn research, organizations with strong consumer brands and strong talent brands see 36% five-year growth, while those with only strong talent brands or only strong consumers brand see 10% and 28%, respectively. So both brands add value alone, but the real magic happens when they’re combined. 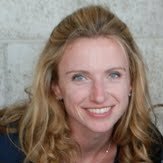 MuleSoft now has a dedicated talent marketer. She’s like a mini CMO for talent who touches every aspect of the funnel – from building brand awareness to generating leads. “Talent marketing does everything that Marketing does but with a different audience,” says Vidya. CloudLock CMO of Marketing, Bernd Leger, is another marketer who’s passionate about talent branding. He also believes that just like marketers, talent marketers should understand their customer, develop their brand, create a marketing plan, and measure its impact. Below these two marketing experts outline their core tactics in more detail. Whether you are seeking Marketing’s help or collaborating with them already, understanding their language and knowing how they think will help you earn their respect and attention. But if you have to go it alone, just use these tactics yourself. MuleSoft previously treated all roles equally, which resulted in generic messages for everyone. Now the company concentrates on engineers and product managers, and spends time understanding how each segment differs in order to personalize its messages most appropriately. Understanding your candidate involves knowing your value to them too (and it shouldn’t be all about free lunches unless you want people who only care about perks.) For MuleSoft, its value lies in the excitement around being at the center of tech and solving difficult problems in an autonomous environment. For CloudLock to understand what sets itself apart, Bernd’s team hosted small lunch and learns with employees. They asked a few passionate folks from each function what makes the company special, and the employee value proposition crystallized. MuleSoft had previously had a confusing web experience with inconsistencies across its properties. “You don’t have a brand if you’re not sending a consistent message in a compelling way across all touchpoints,” says Vidya. Bernd adds, “Most companies look alike because they’re all using the same stock photos.” He advises to stand out by featuring your own people - it doesn’t get more authentic than that. Only real CloudLock employees make it to its website. MuleSoft provides tailored content based on location and function on its website. So if you want to learn specifically about the engineering team at MuleSoft, or the Buenos Aires office, there is content dedicated to that. This generates more qualified leads because when candidates find the messages more relevant, they are more likely to engage. Employee referrals and hire-a-thons (a way to accelerate referrals) are another variation on MuleSoft’s personalized approach to recruiting, and they continue to be the company’s #1 source of great hires. 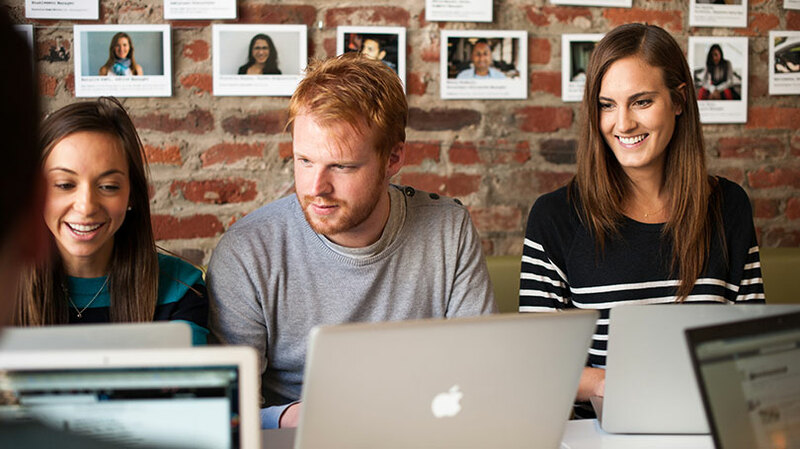 After a hire-a-thon, recruiters get an employee-generated list of high-quality candidates. Recruiters can then reach out to candidates and lead with their connections to MuleSoft. Fill your careers site, LinkedIn, Glassdoor, and Instagram presence with content that focuses on who you are as an employer and why talent should join. CloudLock started with some very simple five-minute interviews asking employees why they like working there. On social channels these employee spotlights saw twice the engagement as non-employee content. Leverage your highest-performing assets everywhere you can, advises Vidya. 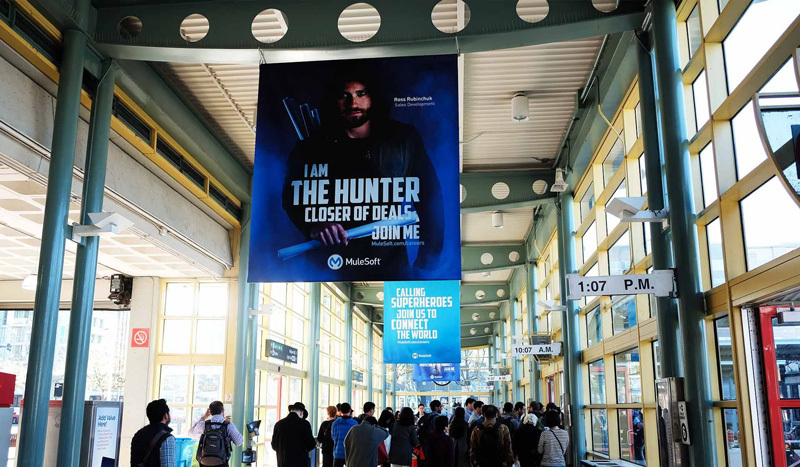 MuleSoft’s scrappy campaign in a Caltrain station is a great example of just that: old-school billboard marketing meets live events and social media. In this first formal talent campaign, MuleSoft leveraged original artwork not just at the train station but on social media and at headquarters too. Vidya credits the joint effort between Marketing and Recruiting with broadening the life of the campaign and ultimately generating more leads. “Find common ground with Marketing over fun projects you both enjoy,” Bernd adds. CloudLock’s funny employer brand movie is an example of a low-cost, high-impact collaboration. You can’t know what works if you don’t measure your efforts. Showing progress will get you more resources too, says Bernd. 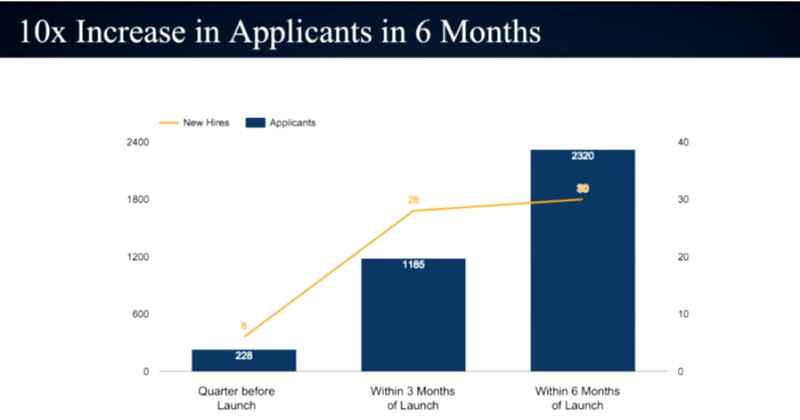 CEOs pay attention to results such as the below data from CloudLock, and when the CEO cares, Marketing will care. Quality - the percentage of applicants who make it to final round. Interest and engagement - LinkedIn impressions, likes, shares and followers. Impact - candidate surveys and Glassdoor reviews. Efficiency - cost per application and cost per hire. At ClockLock and MuleSoft, Marketing and Recruiting are working together to build a content-rich employer brand that’s integrated with each company’s overall marketing strategy. Hopefully you’re inspired to collaborate more closely with your own Marketing partners so that together you propel your company to even greater heights. This post is based on presentations that Vidya and Bernd gave at LinkedIn. Watch the full presentation from Vidya on Mulesoft's employer branding strategy here and watch Bernd talk about CloudLock's strategy here.